DW has made a big impression at two American flim festivals in April. Multiple productions from DW have taken home a total of 14 awards at both events. Productions from DW stood out at the New York Festivals International TV & Film Awards in Las Vegas, winning a total of seven awards in six categories. The awards are among the premier international distinctions that can be received in the television industry. Winning Silver World Medals were the DW classical-music documentary films Schumann at Pier 2, which won medals in both the Arts and Feature Films categories, and The Colón Ring – Wagner in Buenos Aires, which won silver in the Documentaries category as well as picking up a Bronze World Medal in the Arts category. Also winning a Bronze World Medal in the History and Society category was the KickOff! special production- 50 years of the Bundesliga. Winning Finalist Certificates were the Euromaxx series Europe28 in the Travel and Tourism Category along with a video feature news report, Robert, Helene and the Horrors of Oradour in the Heroes category. The awards ceremony was a part of the 2014 NAB entertainment trade show. 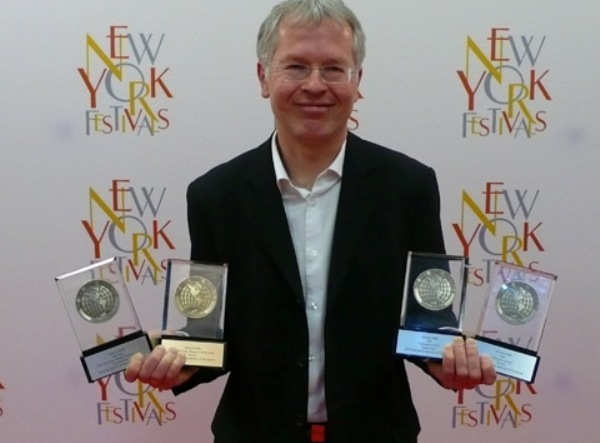 The two latest awards for Schumann at Pier 2, make a total of 14 that the film has received. At the 47th annual WorldFest–Houston a rich variety of DW productions won seven “Remi” awards. Many took home a platinum Remi, the highest distinction for each sub-category. Winning a platinum in the Lifestyle Programming– Series category was the 10-part series PopXport special. Other platinum winners in the TV Series- Documentary category were the Brazil and Japan segments of the human interest special Coming Home. Also taking platinum in the Cultural/Historical Program category was Tracing the Past- German-Jewish Cultural Heritage and again on the list Robert, Helene and the Horrors of Oradour in the Historical Programming Segment category. Another two-time winner with a gold award in the Documentary category was The Colón Ring – Wagner in Buenos Aires. Also picking up a gold in the Individual On-Camera Talent category was the Euromaxx special Germany by Scooter hosted by Micheal Wigge. Last but not least was Strangers- 6 years later, which won silver in the Documentaries category. The WorldFest- Houston is one of the oldest film festivals in the world and this year DW was among 4,500 entries from 33 countries. Classical music is a proud part of the German cultural tradition and bringing this to a world audience is something DW does very well. The DW classical music concert production Schumann at Pier 2 recently won two awards in Asia and altogether has won 12 prestigious awards at international film and TV festivals. Schumann at Pier 2 was awarded the Gold Panda Award for most innovative film in the anthropology documentary category at the 2013 Sichuan TV Festival, one of Asia’s largest TV festivals. The DW musical documentary was among 5,000 productions from 77 countries which were submitted this year. The judges said the film, “showed the beauty of romantic music with incentive scenes” with “gorgeous visual tone plus elegant and rhythmic music.” Director Christian Berger said that he was very pleased about winning the award and “it was our goal from the very beginning to present classical music in a contemporary way.” In Japan the film also won the 2013 Japan Record Academy Award, a prestigious award in Japan given out for classical music productions. The film is a two-part series that gives takes you inside the rehearsals for a special presentation of Schumann’s four symphonies at Bremen’s Pier2. You can watch the film here online. 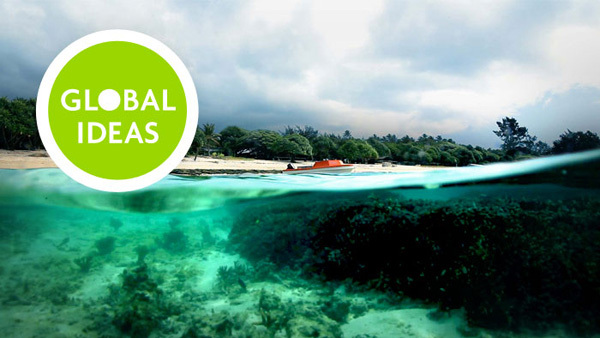 Namati’s World was featured on Global Ideas – DW’s blog covering the people who work to fight climate change and global warming. At the 2013 World Media Festival in Hamburg, DW programming won three gold awards in competition with over 600 entries coming from 36 countries. The festival, hosted by intermedia, is an international competition that celebrates modern media. 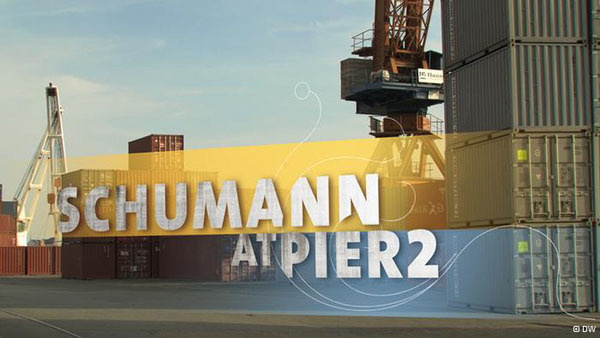 The DW documentary Schumann at Pier 2, an all access musical journey featuring special performances of Schumann’s four symphonies, won first prize in the category Documentaries – Arts. DW’s weekly magazine covering all things online, Shift – Living in the digital age, won gold in the category Documentaries- Magazine Formats. Namati’s World – The dreams and fears of a young coral in the South Pacific is a web documentary that tells the story of a 114-year-old brain coral with captivating underwater footage taken off the coast of the Pacific archipelago nation of Vanuatu. The multimedia production won the gold in Education and E-Learning. DW programming also received five silver awards in a wide range of categories. Following in the footsteps of “The Beethovn Project”, DW’s new classic music documentary “Schumann at Pier2” will run at the 2012 Montreal World Film Festival. The festival’s committee chose the 98-minute concert film directed by Christian Berger for its “Documentaries of the World” category. The festival will take place from August 23 to September 3. “Schumann at Pier2” follows Estonian-American conductor Paavo Järvi and the musicians of the Deutsche Kammerphilharmonie Bremen as they offer a modern take on all four of Robert Schumann’s symphonies in Bremen. The concerts are staged at a converted shipyard. Viewers in Europe will also have the chance to watch the film on the European cultural television channel Arte in November, following the official premiere of the film at Berlin’s film theatre Kino International. In addition, Label C Major Entertainment will sell a DVD box set featuring the documentary and recordings from the concerts.